If you still want to login as the root user after all the risks I mentioned above, then continue below to learn how. Now Restart your pc and login as root. 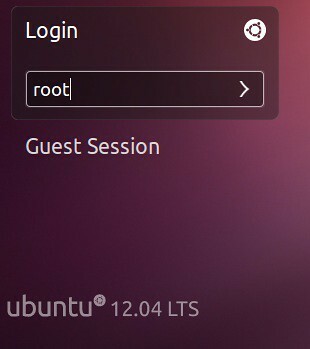 9 comments to ''Enable Login as Root in Ubuntu 12.04 Precise Pangolin/11.10 Oneiric Ocelot"
This is unnecessary - if you are logged as non-root, you will be asked for then password when it is required. ... unless you just don't want to be nagged with repeated password prompts. when one wants to do a multi stage install for Drupal, ie installing apache2, php5, ssh and MySQL then the Drupal you must be root to do all this using su or sudo or gksu just doesnt cut it. Thanks, i need it. Works perfect.